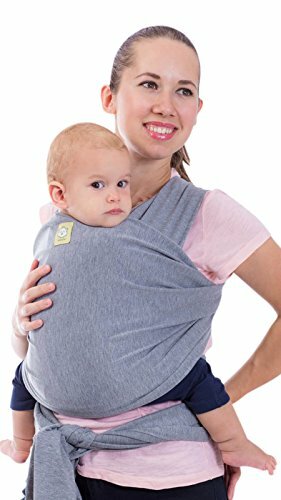  ONE SIZE FITS ALL - Our baby carrier wraps around your body perfectly no matter what size you are! For smaller size mommies, you may loop the wrap to the front and tie it. For bigger size mommies, you may tie the wrap at your back, depending on your comfort. Tried & tested by mommies of all sizes! It is designed to distribute weight evenly while you stay hands free.  365 DAYS MANUFACTURER GUARANTEE - We want all our customers to be happy & satisfied. We offer 100% Risk-free Customer Satisfaction Guarantee to all our customers. If our product is not to your liking or if anything goes wrong with your Baby Wrap Carrier, you get your money refunded in FULL, upon return and hassle-free for you. Place your order now by clicking on Add to Cart Button.